It is beach time again and if you are a sea glass fan I have some gorgeous jar crafts for you today. 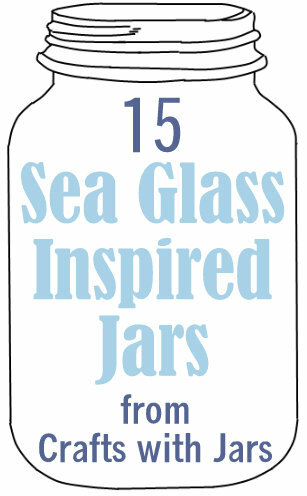 Check out these 15 sea glass inspired jars to get your creative wheels turning. Some of these gorgeous crafts use actual sea glass others are just painted to mimic the amazing beach treasure. Either way, add one or two of these to your nautical decor this year. As a bonus, if you want to recycle your own jars and bottle into sea glass, see how to make sea glass using a rock tumbler.